4 Steps to Clear Html5 Offline Storage. How to Clear Html5 Offline Storage? I use my Mac for almost every purpose a laptop can do out there. I watch movies on it, listen to music, and even talk to Siri just for fun. Most importantly, I use my Mac to surf the Internet. Now, I want to remove HTML5 offline local storage to clear up space on my Mac. How do I do this? Great! You're in right place, I write this article about how to clear html5 offline storage. Read Along! Part 1. What is Html5 Local Storage? Part 2. How To Automatically Clear HTML5 Offline Local Storage Data? HTML5 Local Storage is actually a part of the Web storage application programming interface. It’s one way of the web page to locally create a storage of data within a user’s web browser. However, it is different from cookies in that the data is not sent to a remote Web server unless it is done manually. HTML5 local storage is integrated into various web browsers and is available without the need for third-party browser extensions or plug-ins. The local storage is used for the storage and retrieval of data in HTML pages from the same domain. Even if a browser is restarted, recovery of data from all windows in the same domain can be done. With HTML5 Offline Local Storage, a larger amount of data can be stored compared to cookies. The data is also referred to as more secure. So, what’s the problem with it? Well, data is stored in your computer (in this case, your Mac) and when it accumulates over time, it takes up so much space. Unfortunately, removing HTML5 Offline Local Storage cannot be done manually at present. This can possibly be done manually BUT it is not safe and can lead to system errors. The reason for this is some local data cannot be identified accurately with the Mac’s Finder. It takes advanced technically-knowledgeable users to do this. That being said, there is still a way to clear up HTML5 Offline Local Storage Data without causing trouble to your Mac’s system. So, what’s the magic? It’s actually a tool called iMyMac’s Browser Cleanup. This tool covers various issues such as protection of privacy from your browser and browser security. It addresses these issues by cleaning up the browser automatically. In addition, it helps in improving browser performance by removing unnecessary files in your browser and cleaning it up completely. 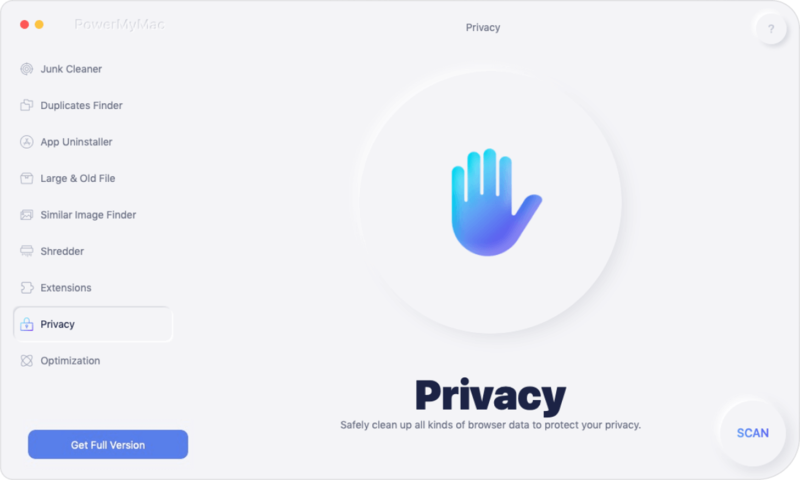 It has the ability to clear cookies, private files, and history information in various browsers such as Safari, Opera, Chrome, Internet Explorer, and Firefox. 1 - Ease Of Use. It can be used by beginners and people who don’t have any coding experience. You don’t need to worry about the ins and outs of your computer. The software can be operated easily with a few simple clicks. It scans your Mac comprehensively and quickly. You don’t have to wait for hours just to know more about the unnecessary clutter of your browser. iMyMac-Cleaner’s Browser Cleaner is quick and painless. It gives you a free trial for the first 500MB. You can experience the benefits of the said tool without the need to shell out money. 4 - Comprehensive And Selective. You are free to preview and select which file or data you want to clean up. If you want to keep some data into your system, you can simply deselect them. You should download iMyMac-Cleaner from its official website. You can opt for the free trial first. 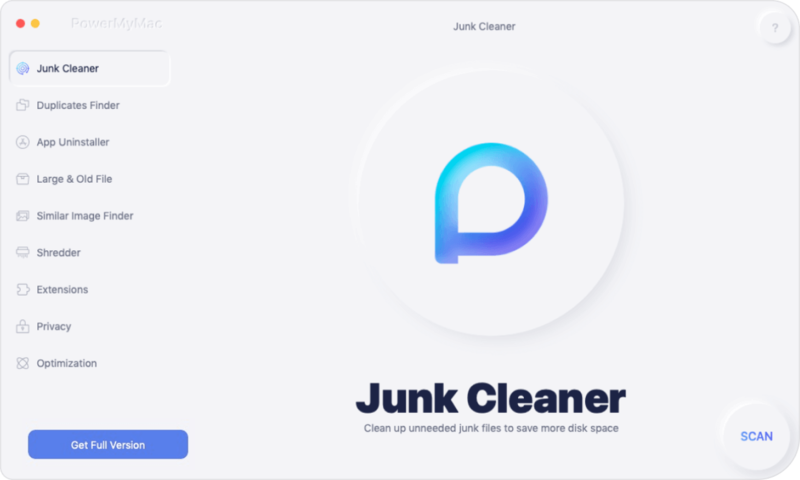 This allows you to clean the first 500MB of your data for free. In this step, you simply have to open iMyMac-Cleaner. It will show the main interface with the system status of your Mac. The system status includes Memory, CPU, and Disk, among others. Go to the left-hand side of the program’s interface and find Browser Cleanup. Click this option. Once you are in Browser Cleanup, click Scan to start scanning the Mac device for browsers. The results will show a list of browsers you may wish to clean up. Select a browser you might want to clean up. Browsers can be Safari, Firefox, Opera, Chrome, and Internet Explorer, among others. Once you have selected a browser, a list of categories you may wish to delete will show up. In this case, select HTML5 Local Storage. If you want to delete other categories, select other classifications to clean them up. Take note that the various classifications include Visit History, Downloads History, Downloaded Files, Search History, Cookies, Login History, Auto Fill History, and HTML5 Local Storage, among others. Click the Clean button to start cleaning. Click Confirm to confirm the process. After which, wait until the entire cleanup process is complete. That’s it! You have deleted HTML5 Local Storage. Easy, isn’t it? HTML5 Local Storage is like cookies that store data for better browser performance. The problem with it is it accumulates over time and takes up space in any device may it be a Mac or a Windows PC. The good thing about this is you can fix it. You can actually clear your HTML5 Local Offline Storage easily. You can do this by using the tool called iMyMac’s Browser Cleanup. This tool is recommended because manually deleting your HTML5 Local Storage can cause system errors if you are not a tech professional. 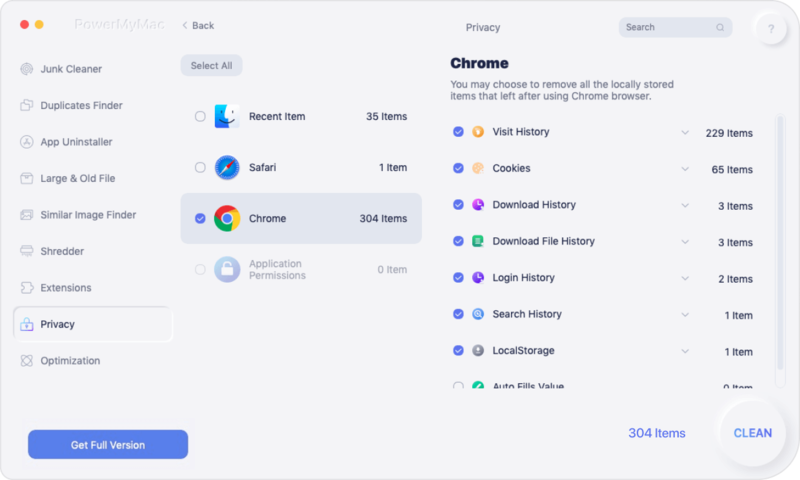 With a few simple clicks, you can use iMyMac’s Browser Cleanup Tool to delete HTML5 Local Storage and free up more space for your Mac. / Browser Cleanup / How to Clear Html5 Offline Storage?